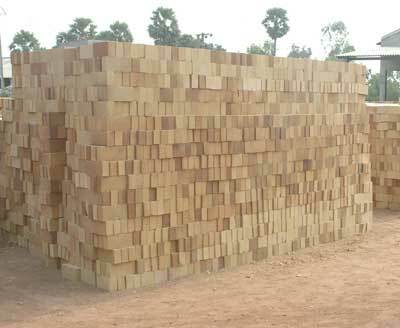 Fire Clay Bricks are the most common forms of bricks used for construction purposes. Our company offers various types of Fire Clay Refractory Bricks with different capacities to withstand high temperature. These general purpose fire clay bricks are manufactured from optimum quality raw material and duly heated under fire for ensuing durability and strength. We have been supplying these bricks to every corner of the country and we have marked our presence as one of the paramount High Alumina Fire Clay Bricks Suppliers from Andhra Pradesh India.